Are you looking for the top five places to shop in Goa? Many of us think that Goa is just to chill out on beaches with nothing much for shopping. And if you think the same, then you it all wrong. Goa is not only a place about boho vibes, hippie culture and serene beaches. This place is very much for shopaholics. Goa offers amazing flea markets and night bazaars with peeping voices that feature so much to buy with amazing colours where bargaining is full on, given the wide range of products and prices. From clothing to junk jewellery, and footwear, from shell and bamboo work to terracotta and brassware, from ‘feni’ and ‘bebinca’ to ‘cashew nuts’ and ‘Goan sausages’, you will find it all here. The liveliest of all markets in Goa, it is held every Wednesday in the beach town of Anjuna in North Goa. There are a number of stalls that offers hammocks, handicrafts, tattoo carvings, western jewellery, souvenirs, beachwear, trinkets, bed covers, musical instruments, wall hangings, footwear, wooden crafts and carvings, t-shirts, junk jewellery and anything funky at best price that allures visitors. So get ready to push for a bargain at this market. It also provides small trinkets and clothes that are characteristic of the Goa vibe available at an affordable price. 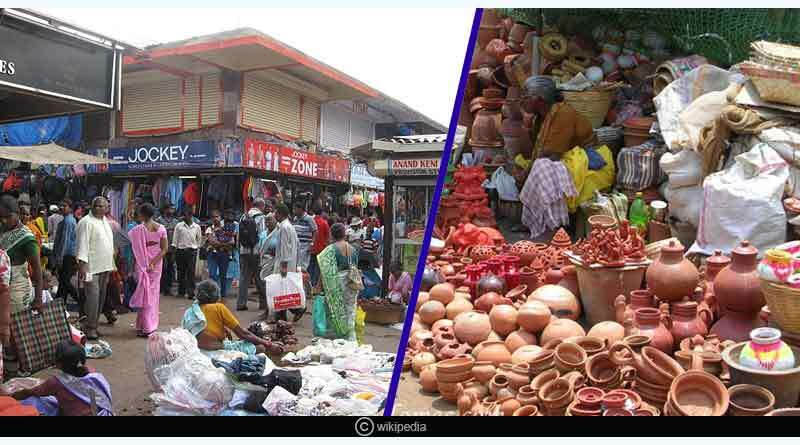 Mapusa Market is an outstanding location for every enthusiastic shopper. So if you want to experience the traditional Goan shopping, explore the Mapusa market on Friday morning. From here you can shop anything, with items ranging from antiques and Goan pottery to handicrafts, dried and fresh fish, spices, homemade pickles, fruits, vegetables, and also you will find Goa’s famous ‘chouricos’ sausages, textiles, clothing, coir mats, jewellery and much more at a reasonable price that makes shopping fun and satisfying. So test your bargaining skills by coming across this place. You’ll surely end up buying various things. It is held every Saturday and runs until midnight on the Baga Beach. It is packed with a huge number of shopping hangouts selling antiques, junk jewellery, clothes, beachwear, souvenirs, and handicrafts. You can also find many eateries here for people who like authentic Chinese, Goan, Indian, and Tibetan fast food and some vigorous live music that is truly a capturing pleasure to unfold. The most attractive factor that mesmerizes visitors here is shopping in a pleasant atmosphere or at shimmering midnight that makes it even more happening. You can shop for things like bags, accessories, designer jewellery, paintings, semi-precious stones, clothes, books, rugs, and carpets. 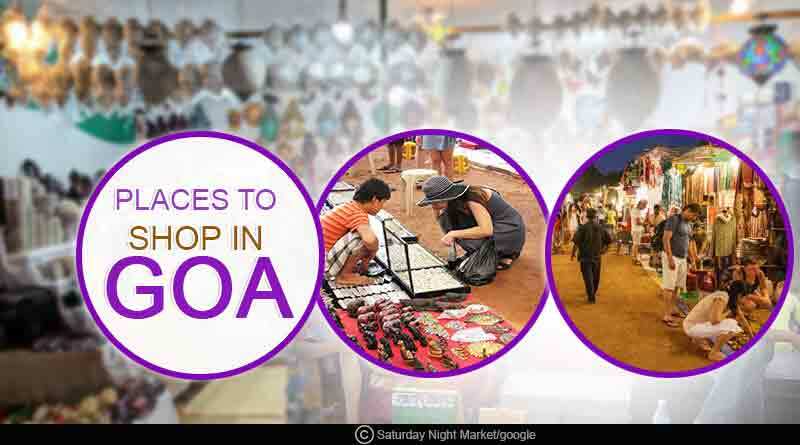 This market offers a variety of goods like wines, cashew nuts, local handicrafts, Goan spices and also has a multiplex and line-up of eateries in the vicinity. It is the largest market in Goa with a combination of street stalls eateries. You can take away a part of Goa with you by coming here. For more articles like the top five places to shop in Goa, do Subscribe to our newsletter and follow us on Facebook, Twitter, and Google+.